Shah Rukh Khan and Parineeti Chopra were snapped at the Mumbai airport as they left on their respective work schedules on May 13, 2018. 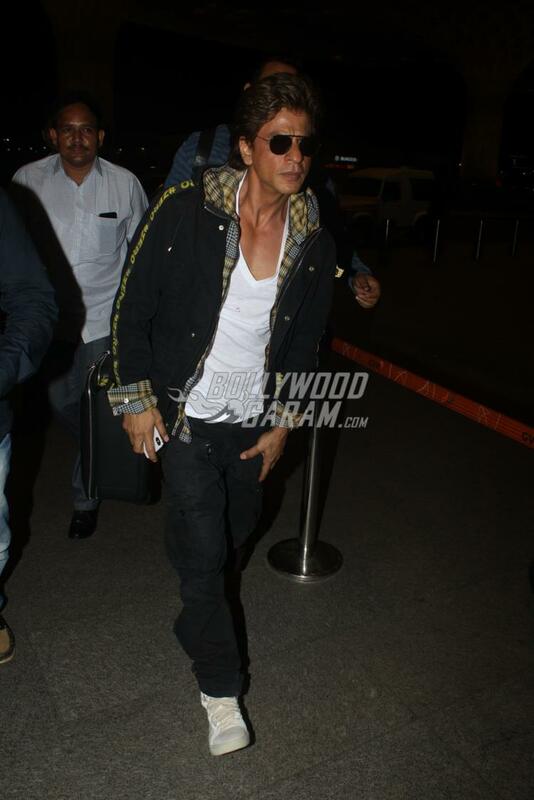 The Jab Harry Met Sejal actor was seen leaving for New York to shoot for the upcoming film Zero by Anand L Rai. Parineeti was seen leaving for Paris to shoot for the upcoming film Namastey England. Parineeti’s co-star Arjun Kapoor had left for London a few days back after wrapping cousin Sonam Kapoor’s wedding. The actress looked pretty in a grey turtle neck sweat shirt and a black mini skirt with knee length boots. Parineeti completed her look with an orange bag and a pair of black glares. 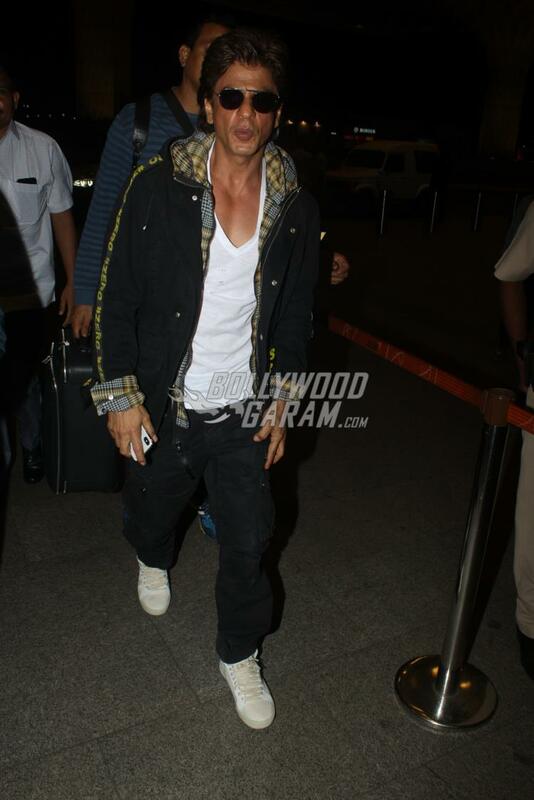 Shah Rukh too looked dapper in a white t-shirt, black pants, black jacket and white sneakers. The actor was all smiles for the paparazzi at the airport. Shah Rukh will be seen playing double role in Zero and one of which will be that of a vertically challenged man. On the other hand Namastey England is the sequel to the film Namastey London which had Akshay Kumar and Katrina Kaif.